Architects pose more and more challenges for system builders to arrange the windows, designing the windows with unconventional shapes. Very often we encounter situations in which the window selected for decoration is not rectangular . 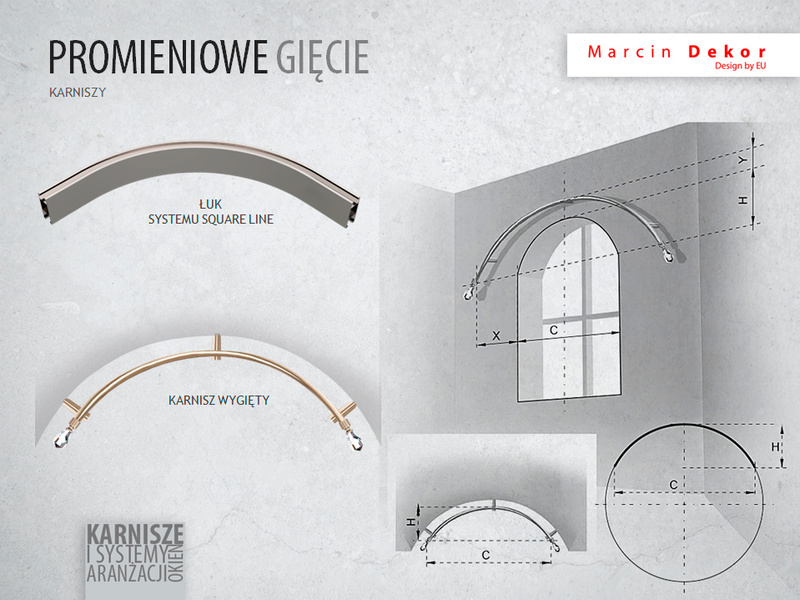 All vertical and horizontal arcs seem to eliminate the use of a conventional curtain rod. Then the only solution are bent rods. Therefore, taking into account the needs of our customers, we introduced a service of bending curtain rods and profiles, which gives unlimited possibilities of arrangement. 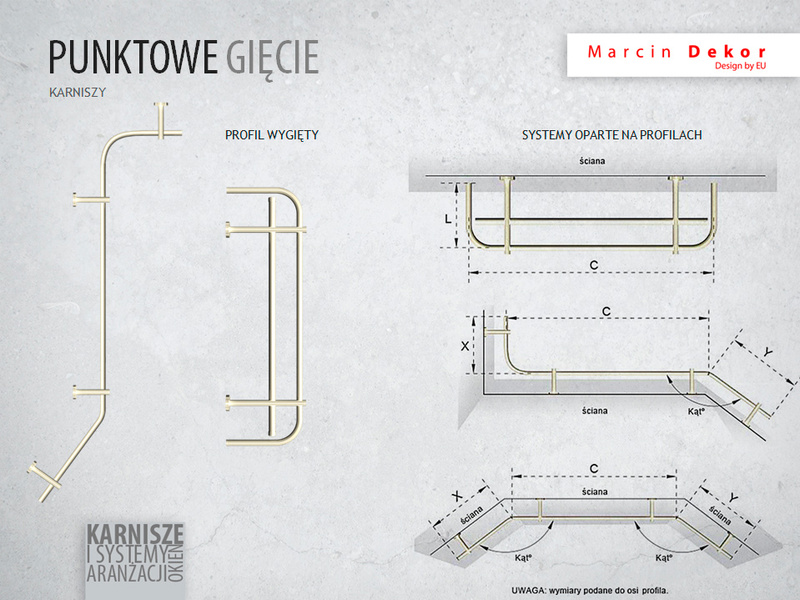 – In the case of tubular curtain rods we perform radial bending of the pipes with diameters: 16mm, 19mm, 25mm. 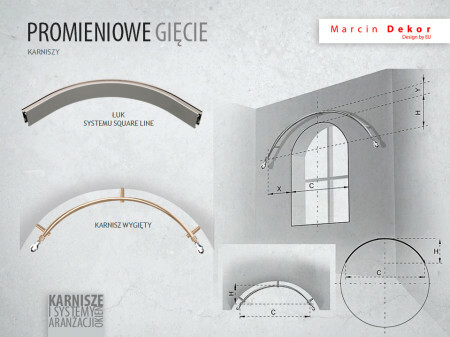 – The curtain rail with a diameter of 16mm, 19mm, profile SQURE LINE and MKS aluminum profiles have the possibility of both radial and punctual bending. 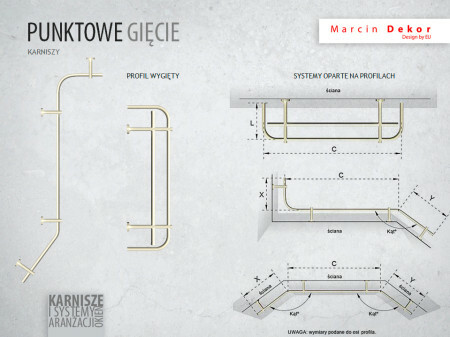 Our proposed service of bending is available at distribution centers of Marcin Dekor and in all Marcin Dekor patronage stores. In the case of interest in the service, please contact us by email or phone. Orders are carried out individually, so if interested please use the form below to measure.